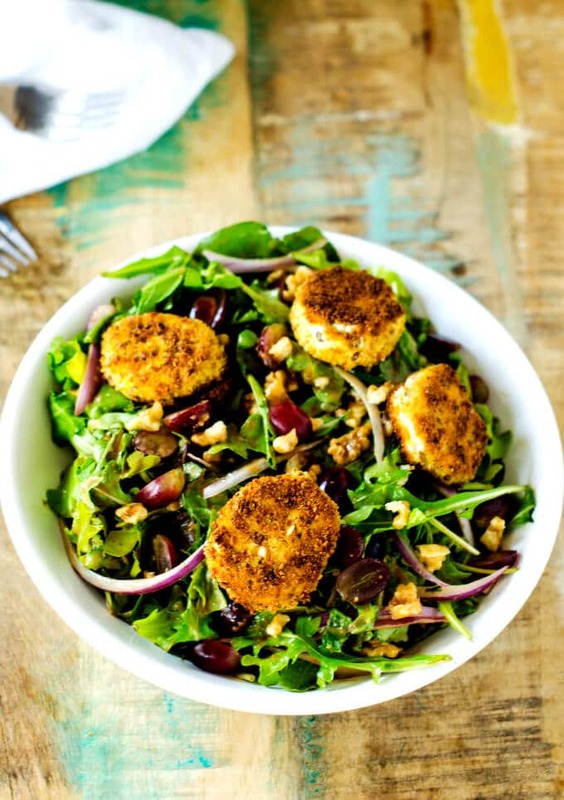 This Fried Goat Cheese Salad with Grapes and Walnuts will have you excited by eating salad! With peppery arugula, luscious grapes, and red onion. Gluten Free and Vegetarian. Years ago, my husband went to a little restaurant in Atlanta that had a salad I adored. Peppery arugula, luscious grapes, red onion and walnuts all tossed in an amazing Balsamic Vinaigrette dressing that had just a hint of sweetness. The crowning jewel was little patties of fried goat cheese. I could have lived on that salad. I’ve thought of it often since going gluten free. It is the simple things like that dining out that I miss the most. 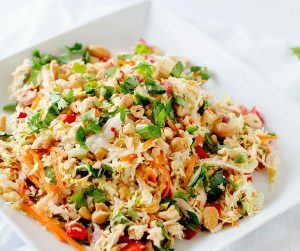 Since it is the time of year to create special in our homes, I thought I’d try to make a gluten-free version of this salad as a special treat to myself. I’m not sure what took me so long to find you. 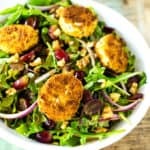 To make this special salad, which is perfect for a holiday gathering, I made breadcrumbs using gluten free bread. I make breadcrumbs at least once a month. They store beautifully in the freezer so that I have them on hand whenever I need them. You can check out how I make breadcrumbs without adding any additional oil in the first step of the recipe below. 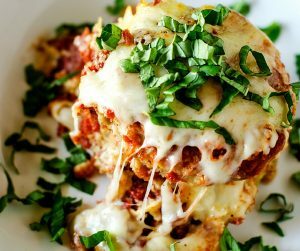 Although this recipe is something special, it comes together so easily! You can bread the goat cheese ahead, and even fry it ahead of time and reheat it in the oven! 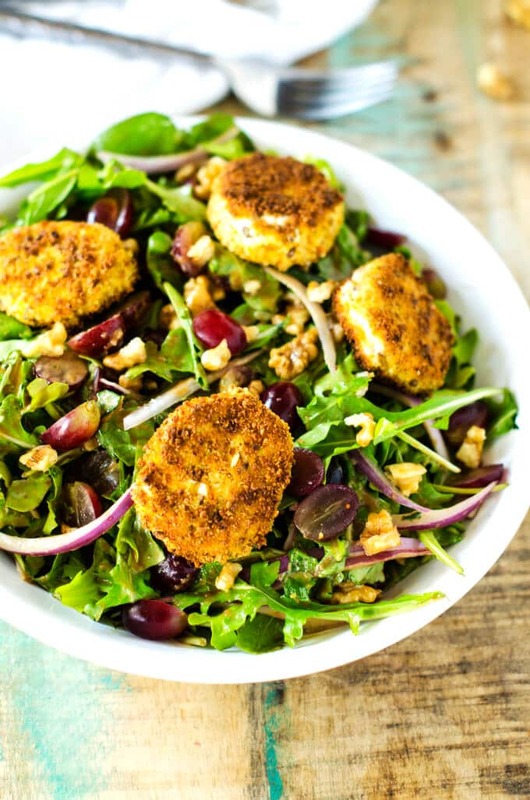 This Fried Goat Cheese Salad with Grapes and Walnuts will have you excited by eating salad! With peppery arugula, luscious grapes, and red onion. To make gluten free breadcrumbs, process Udi’s Gluten Free bread into your food processor. Preheat oven to 300 degrees. Place crumbs on a parchment lined cookie sheet. Bake for 5 minutes. Turn oven off and allow to sit in the oven for another 45 minutes. If desired, process in your food processor again for a finer breadcrumb. Heat just enough avocado oil to cover your pan to medium high heat. Add goat cheese and cook until browned, 1-2 minutes per side. Removed from heat and place on a paper towel-lined plate. Meanwhile, make the dressing by combining balsamic vinegar, red onion, maple syrup, dijon mustard, garlic and sea salt in a blender. Process until smooth and then add oil in a steady stream. In a large bowl toss arugula, grapes, onion and walnuts with the desired amount of dressing. Transfer to serving plated and top with warm goat cheese rounds.